Tom demonstrates the proper method of hold the dowsing rod. 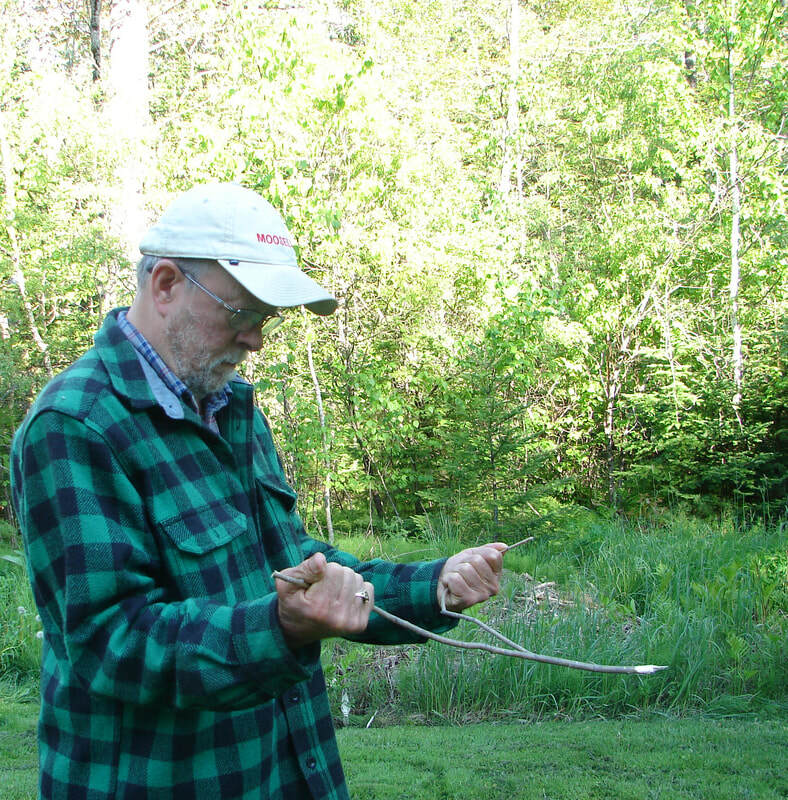 ​Dowsing for water seems a natural addition to a forager and outdoors person’s life. Which in no way means that non-outdoor types can’t excel in the dowser’s art as well because with some practice that is certainly possible. Unfortunately, many modern dowsers have gone from the traditional forked stick to all kinds of fancy devices. Also, for many, dowsing has acquired a spiritual aspect that only exists in people’s minds. Dowsing is just a natural part of being human and there is no weird or supernatural aspect to it. In my mind, dowsing is a simple gift, given us for the benefit of all. I have found wells for people, as well as hidden water pipes and springs. When the need arises, I try to make myself available to help solve people’s water needs.